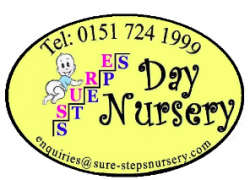 Rocking Horse Day Nursery & Pre-School are looking for Early Years Practitioners to join our Audenshaw nursery. Candidates must have: · Level 3 or above qualification within child development · First Aid Certification required · Minimum of 6 months experience of working with children under the age of 5 · Knowledge and understanding of EYFS In general, tasks across roles may include but are not limited to the following: · Ensures that all children attending the setting are kept safe and receive rich and stimulating play experiences appropriate to their age and stage of development · Observes, supports and extends children’s learnings · Appropriately plans individual learning experiences for children under the EYFS curriculum · Maintains accurate and up-to-date children’s records · Builds and maintains an effective partnership with parents Terms and Conditions: Salary:Dependant on experience. Salaries are usually reviewed in April. You will normally be eligible for a salary review after completing one year’s service. Hours:40 hours per week Monday to Friday – flexible start/finish times Holiday:20 days per annum FTE, plus all Bank Holidays Benefits: · Provision of pension scheme auto enrolment · Continuous and funded professional development · Employee Assistance Programme · Referral Bonus Scheme · How to Apply: Please email your most up-to-date CV to indicate your interest in the role. About Storal Learning Storal Learning is a rapidly growing company which owns and operates nurseries across England. Our mission is to deliver the highest possible care and early years education to children, whilst always striving for continuous improvement. We believe a child’s early years are the most critical for developing the foundations of learning, behaviour and emotional well-being, which all influence later outcomes in school, work and society. The past 12 months have been remarkable for Storal Learning. 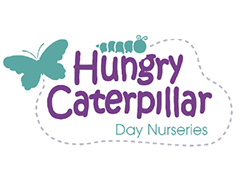 We have grown from 4 to 14 nurseries and have entered 3 new regions of the country. We are cementing our reputation as the childcare provider of choice in our chosen markets and we continue to strengthen operations as we grow. We are now looking towards the next 18 months, which will see our growth continue at a rapid rate. Our mission is to always deliver the highest possible care and early years education to children, whilst always striving for continuous improvement as we believe a child’s early years are the most critical for developing the foundations of learning, behaviour and emotional well-being. Professional, motivated, organised Montessori Directress is sought to join Outstanding Montessori nursery to work with children aged from 2 to 5 years. As well as having a good understanding of the Montessori curriculum, applicants should also be familiar with the EYFS and be able to demonstrate good practice relating to record-keeping, observations and Safeguarding. Applicants should present a good command of spoken and written English and a suitable academic background with experience of working with young children. Applicants should be fit and healthy to work with young children and demonstrate a positive, can-do attitude. 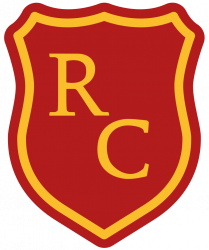 Core hours will be from 9 am to 4 pm Monday to Friday term times only commencing April 2019 (or sooner if available) Paediatric First Aid and Safeguarding training will be provided if the candidate does not have a current certificate as these are a requirement of the nursery. An Enhanced DBS check will also be made to ensure the candidate is suitable to work with young children if applicants do not hold a current transferable DBS. Mon-Fri, 37.5 hours per week, 5 days a week Shifts: 7:15am to 3:45pm or 9:45am to 6:15pm We are looking for an experienced level 3 qualified Early Years Practitioners to join our team in Walthamstow. The suitable candidate MUST have the following: A genuine interest in children's development and well being At least 2 years experience of working with under 2 years old children in a nursery Knowledge of the current Early Years Foundation Stage framework Understanding of Safeguarding and Child Protection Procedures NVQ level 3 or higher qualification in childcare In return we offer Training and mentoring to room leader and deputy positions 28 days paid holiday, including 8 bank holidays A competitive salary To be considered for the role, please email us your CV. Due to the large number of CVs received, we will only contact candidates we are interested in. Senior Nursery Practitioner 8am - 5pm working day 38 weeks a year (with a chance to earn some more money in the holidays) Non Packaway Bo-Peep is a small Nurturing Teaching Nursery looking for someone special to join our team so if the qualities below sound like you, please get in touch. You must hold a level 3 (or above) qualification in childcare and relevant experience working in a nursery. (Please do not apply without these) You must have at least 3 years experience working in a Teaching Nursery You must have a warm smiling face that makes every child feel special. You must be able to laugh at jokes you don’t understand, or you don’t find funny! You will leave work every day with muddy, wet clothes and know that it means it’s been a good day! You must enjoy long holidays (we are term time-only and use the holidays wisely to re-energise ourselves) You will preferably have a little bit of quirkiness. If a child requests that you be the Big Bad Wolf, you will be the best Big Bad Wolf you can be! The ability to sing in tune is not necessary, however the ability to sing out of tune in front of a crowd is essential. As is dancing to all types of music! You must be able to distribute warm hugs as required. You know who Peppa Pig, Elsa, Anna, Bob, Captain America, and Sponge Bob are and know every single word to ‘Let it Go’. Possessing the skills required to rapidly count the heads of numerous moving small people is of the utmost importance. Given just some sticks and leaves, you could create something amazing that even Blue Peter presenters would be proud of. You must have a high level of comfort around talking about bodily functions. You must have a strong sense of smell to enable you to respond to said bodily functions. Pretending to eat playdough creations realistically is required, and that of drinking numerous cups of pretend tea. You must be able to get the attention of 20 busy and energetic children without raising your voice. You must have the ability to read a ten page fairytale, upside down, with at least 4 interruptions per page. You must be prepared to have lots of fun in the workplace. Laughter is something you can expect to engage in for a large part of your working day. Finally, you must be prepared to feel loved, special and important to many young children and their families. There is simply no other job quite like this one. To apply, please send an up to date version of your CV via the form below!